The New Milford Village Green is one of the most picturesque in New England. 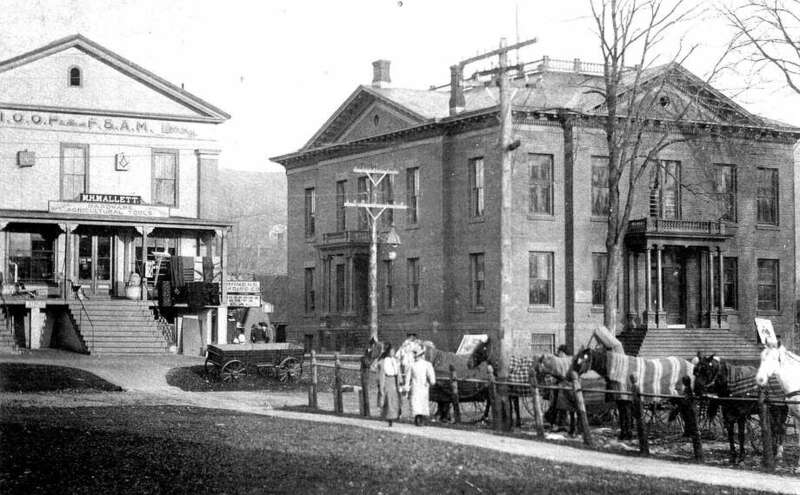 Above is the west side of the green, circa late 1800s, with the Roger Sherman Town Hall, the M.H. Mallett Hardware and Agricultural Supply store, later to be the Village Hardware and, in 2007, the Village Center for the Arts, straddling Church Street. In the foreground, horses are tethered to a rail along the green while bonneted women stroll by. If you have a “Way Back When” photo you’d like to share, contact Deborah Rose at drose@newmilford.com or call 860-355-7324.